With this stylish accessory, available in black sapphire or white, you can charge your compatible Galaxy smartphones and other Qi-compatible devices without the need to plug your device in to a wall charger or USB port. Simply place your device directly onto the charging pad and your phone begins to charge. 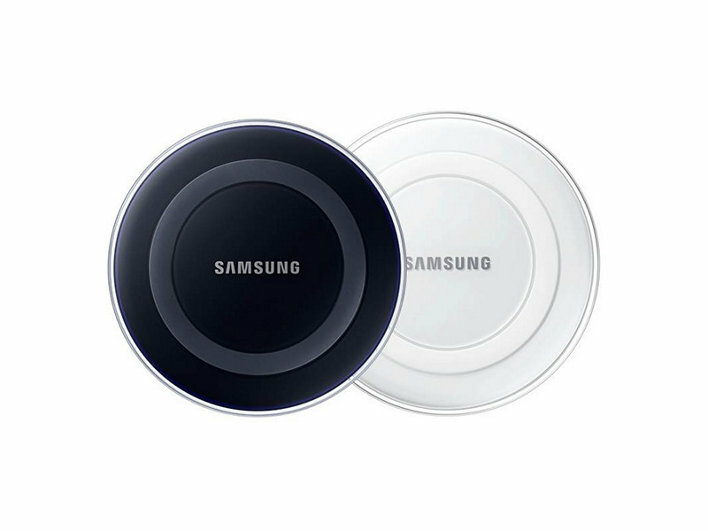 The Samsung Wireless Charging Pad is Qi certified by the Wireless Power Consortium (WPC) and is compatible with all Qi-enabled devices including from Samsung: Galaxy S4, Galaxy S5, Galaxy Note4, Galaxy Note Edge and Galaxy Note3 (these Galaxy smartphones require Wireless Charging Battery Covers, sold separately) as well as the Galaxy S6, Galaxy S6 active, Galaxy S6 edge, Galaxy S6 edge+ and Galaxy Note5 which do not require additional charging battery covers. 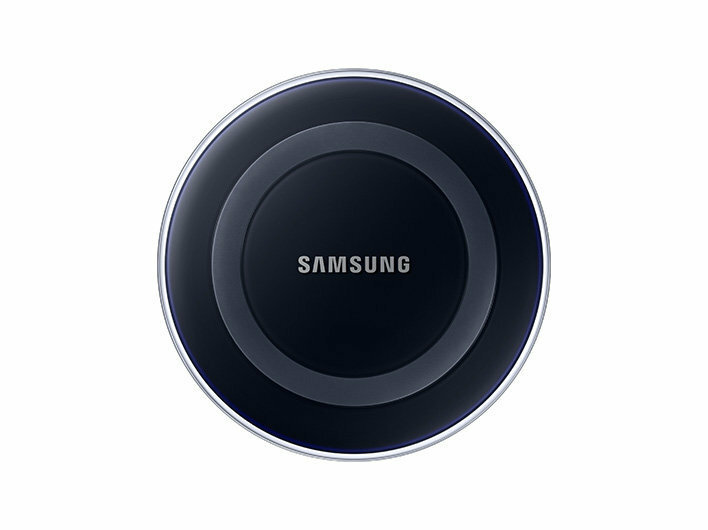 The Samsung Wireless Charging Pad is easy to set up and use. First, connect the Charging Pad to your device’s charging cable, then place your phone on the pad. 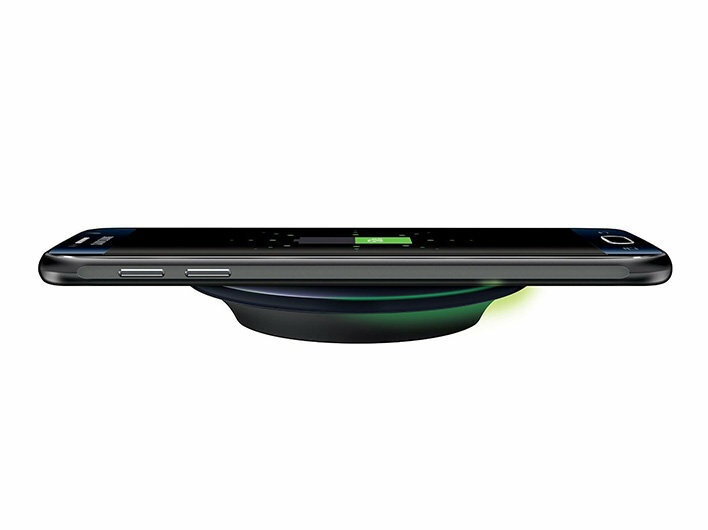 For optimal performance, your device should be placed in the proper location on the pad. A built-in LED indicator light will alert you if the device is not properly aligned and when a good charge alignment is acquired. If using a Galaxy S6, Galaxy S6 active, Galaxy S6 edge, Galaxy S6 edge+ or Galaxy Note5, it will also alert you when your device is fully charged. A spare Samsung 2A charger is included with the pad. 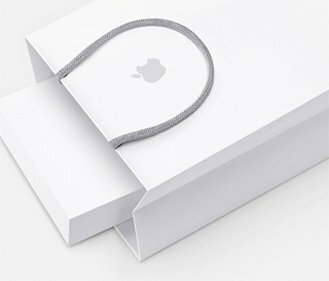 If a non-Samsung or Samsung.